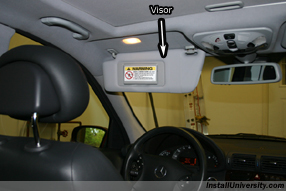 Symptom(s): Your mirror cover on the visor losses the spring force and will not completely close leaving the vanity light on while the visor is in the down position. 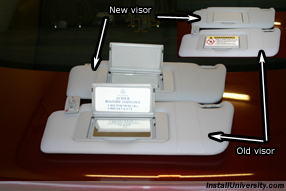 Figure 1 shows the visor that will be replaced. 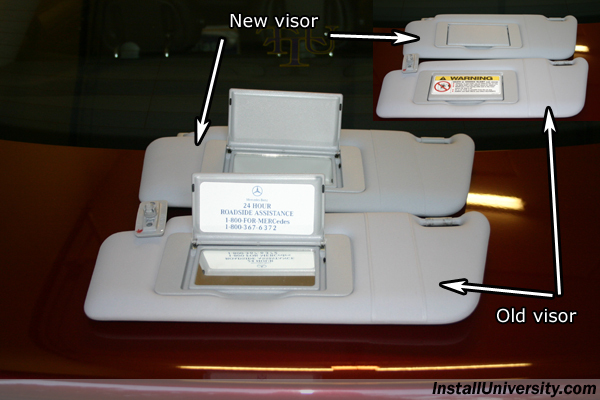 Notice that the visor is in the down position and the mirror cover is not shut causing the vanity light to remain on. The only factory fix is to replace the entire visor unit. The new unit has a much stiffer spring and I must assume will last a lot longer. 1. 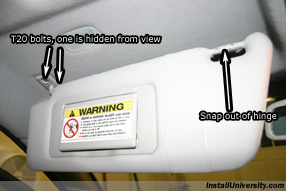 Remove the visor from the electrical outlet/hinge as shown in Figure 2. 2. Locate and remove the two screws holding the visor in place as shown in Figure 2. 3. Figure 3 shows the view without the visor. 4. 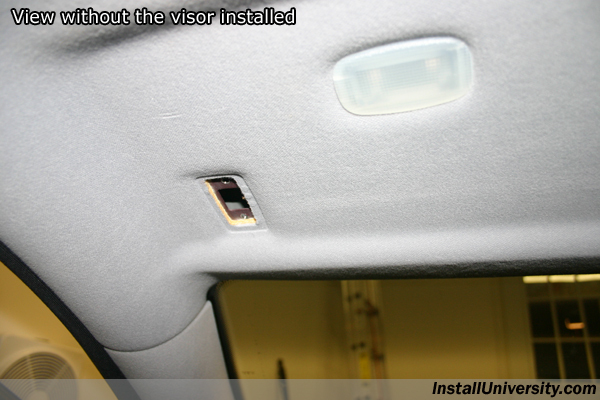 Reattach new visor and reinstall bolts to "snug" as shown in Figure 4. When one one bolt is in, before flipping the visor to the opposite side to install the other screw, be sure and support the support base without the bolt to insure you don't break the support base. 5. 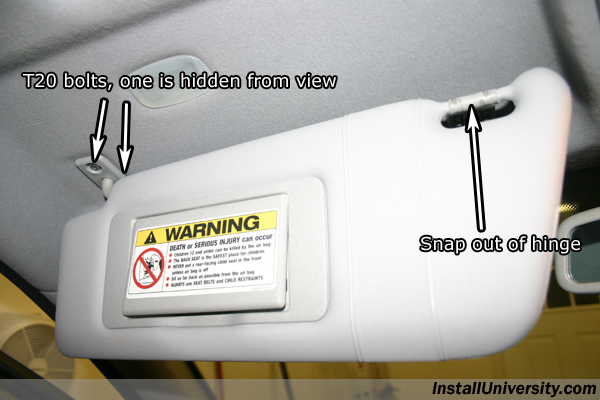 Snap the visor back into the electrical outlet/hinge and your done! Figure 4 shows the new visor in place. Notice the new visor does not come with any stickers making for a cleaner look than the factory visor (see Figure 5).